The Goshen College theater department will celebrate the 40th anniversary of the John S. Umble Center this year with a lineup of shows written by female playwrights. The 2018-2019 theater season will consist of four shows: a peace play in October, the fall mainstage in November, a mainstage musical in March and a set of one acts in April. The first play in the series will be “History Lesson” by Frankie Little Hardin. The play is set on a stormy day at an Audubon museum in Kentucky. The show is the winner of the 2018 Peace Play Contest. In November, the fall mainstage will be “Crimes of the Heart” by Beth Henley. The show, which is set in Mississippi, captures the struggles of three sisters as they deal with events in their past and present. The spring mainstage musical is “Bright Star” by Edie Brickell and Steve Martin, recently played off-Broadway in New York. The show takes place in both 1920 and 1940 and is about North Carolina literary editor Alice Murphy and her “reliv[ing] the harrowing journey that helped shape her,” according to an informational release by the theater department. The selection of spring one acts is pending. Kurtz Kuk stated that the department is accepting submissions for plays, but they must be by female playwrights. 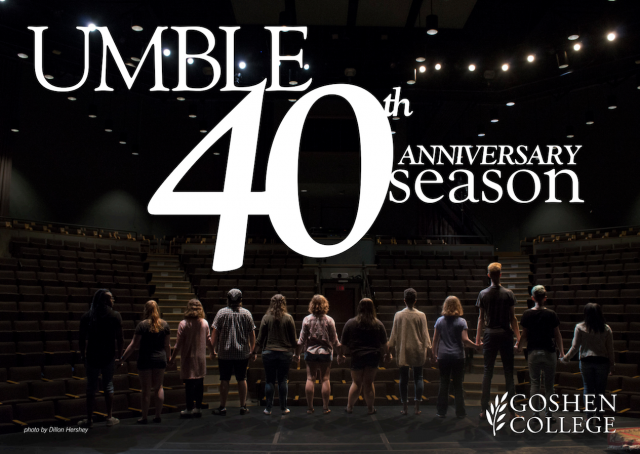 The theater department knew that they wanted to do something special for the 40th season of Umble, Doug Caskey, professor of theater, said, but the idea of having the entire season consist of female playwrights didn’t happen until the winner for this year’s peace play was announced. Caskey said that the department was trying to choose between “Crimes of the Heart” by a female playwright and “The Real Inspector Hound” by a male playwright. The winter musical was already chosen at the time and just happened to have a female playwright, but when the winner of the peace play was decided and the theater department found out the playwright was a female, the decision was clear; “Crimes of the Heart” was chosen and the female playwright season was complete. Shianne Harrison, a sophomore theater major, thought that the choice of theme for this season was interesting, due to the difference from last year’s “Swords into Plowshares” theme. “Going into the 40th anniversary I thought would’ve been more of a walk down memory lane than noticing the women playwrights,” Harrison said. Caskey said the department wanted to make something very clear about this 40th season celebration. According to the department, the future of theater is female, with not only the entire season being made up of shows by female playwrights, but also a large number of the students in the theater department being female as well. The majority of the shows’ casts this year will be mostly female, especially the October peace play and November mainstage, with the female-to-male character ratio being four to two. Caskey said that ratio tracks well with the actual ratio of female to male majors in the department, which is four to one. Umble’s 40th anniversary is historically significant across campus, but perhaps even more so for Caskey, since he visited Goshen when the theater was under construction. He was at Goshen as a prospective student and the idea of a permanent theater space excited him. Umble was open for its first season when Caskey was a first-year but did not try out for the theater’s first show. Caskey said he used his involvement in soccer during his freshman year as the reason he didn’t try out, but deep down inside he knew the real reason: he was too scared to audition. Caskey then tried out for a senior show and got a lead part in that show. From that point on, he was hooked and was involved in a show every semester after his first.